Conversations: Learning and Growing: Dead Ants, Bad News...Recovery! Thanks to the awesome connection to CASIS, the Center for the Advancement of Science in Space, our 5th grade classrooms are participating in the Ants in Space project. Partnering up with CASIS, BioEd, and the researchers at Baylor College of Medicine, we are able to be a part of an actual investigation that involves real world science! This research involves ants, investigation design, collection of data, and student observation in connection to the actual science investigation that occurred on the International Space Station. So, wow! Right? We have spent the past couple days reviewing the investigation, learning about pavement ants and their communication, choosing jobs, and practicing the protocol. Well, big day came...and went. No ants. Why? They were very, very, very dead! Apparently, our school sprayed for insects last week and did an exceptional job. The ants that are usually marching through our classrooms are completely and utterly dead. The ants that I ordered from Carolina Biological...wrong ants. They cannot be used because they do not communicate and forage the same way the pavement ants do. Strike Two! Strike Three occurred as all our ant bait stations were blown away, washed away, and froze out by this horrible Ohio weather. Talk about a very disappointed science teacher and 115 students! 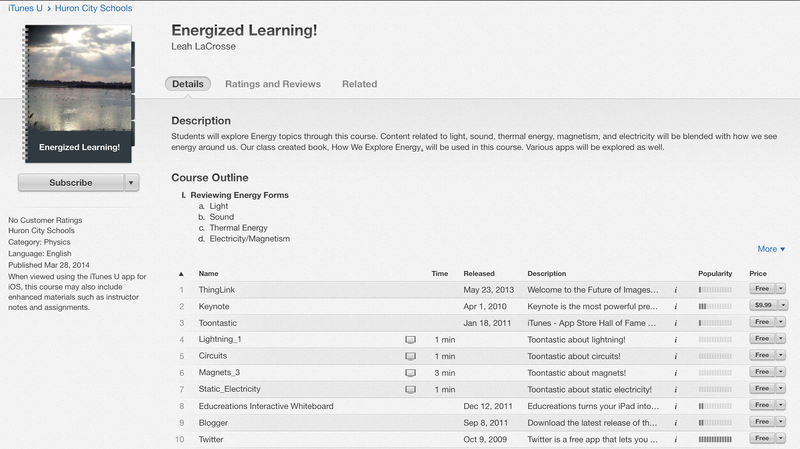 Let's jump into our Energized Learning iTunes U course! Now, I have only designed one other course using this platform, and it was a practice course that I asked adults to give feedback on. I know that this method of learning has so much potential. I am excited to explore it with my favorite kids! I wasn't sure how today would go with the defunct ants investigation plans, but I was ready to tackle this today. Step One: Introduce the students to the idea of learning through the iTunes U platform. "Guys, this is how high school and college kids work." Build them up! "You know all about these apps and the iPad." Instill a level of confidence! "Working with your learning partner, you have a new mission today." Remind them that they have support! "This is what it looks like." Run them through the format of the iTunes U platform. Step Two: Trouble shoot and problem solve. There was some confusion about how to navigate from our course to our iBook, How We Explore Energy. So, I had to review that again. Support for some students looking to have the text read aloud. They were highlighting instead of the read aloud support showing up. Quick tutorial needed for a couple. Then, they supported each other. Now, I'm bored. What do you do once you have all students working at their own pace, using their own materials, and completely engaged? Hmmmmmm. Well, great time to give my focus to those students who could use a little extra attention. I did just that! I let those kids who were rocking it out go at their own speed, and I rotated around. My classroom today was so the opposite of what it could have been. Yes. We were all really disappointed in the ant investigation being postponed. But, the work flow and engaged learning that occurred with the iTunes U course and our self-created book was amazing! Students in one class were reading the chapter that another class built! They were watching their videos, reading about their investigations, checking out their Toontastic cartoons, diving into their ThingLinks, viewing slide shows, answering questions, and enjoying the puzzles. In observing 115 students, 4 learners needed to be redirected. That's an engaged classroom! While I realize this is only day one in the process, I think it will only get better as the students continue their learning in the course. 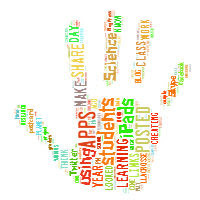 I have various activities and apps built in to the course to support the learning occurring from their iBook. Stations of manipulative materials for light, sound, thermal, magnetic and electric energy are placed strategically around the room for various parts of the course. 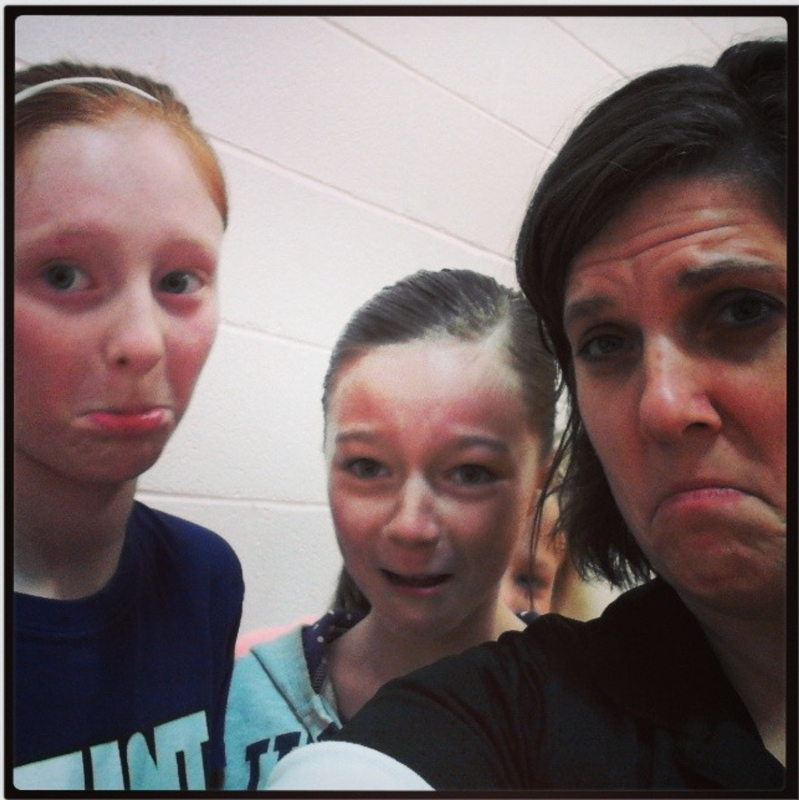 So, our day in science wasn't a complete disappointment. Kids were bummed about the ants, but it is a great reinforcer that science isn't perfect. We can be ready to go, and variables out of our control can postpone the mission! Regardless, by having access to such amazing tools, like iTunes U, iBooks, and iPads, I can still support the engaged learning in the classroom! What did the Pink Panther say? Dead ant, dead ant, dead ant....you know!